Home, Door and Window Products services both residential homes and commercial businesses with excellent steel doors that increase security all while enhancing its beauty. Home and Door is a reliable company, and we can ensure you the highest quality, the best service, and affordability. We are one of the leaders in the steel door industry selling premium steel entry doors and steel exterior doors for over 30 years. Home and Door has a huge assortment of Therma-Tru steel doors on display in our stunning showroom near Dearborn. Therma-Tru doors are extremely durable and the best steel doors on the market. Our Dearborn clients will receive excellent service from our professional sales team at Home and Door. Dearborn is a city in Michigan, and more than 98,000 residents call Dearborn home and benefit from exceptional City services. Dearborn is where auto and steel manufacturing, green beltways, fields of sunflowers and wildlife dwell side by side. Home and Door specializes in premium steel doors, and we promise you the highest quality, the best service, and affordability. We have an excellent reputation and come highly recommended in the Dearborn area. Home and Door custom designed steel front doors will enrich the appearance of your home or business. We offer information on the newest technology, full support from our expert sales team and innovative ideas to clients. 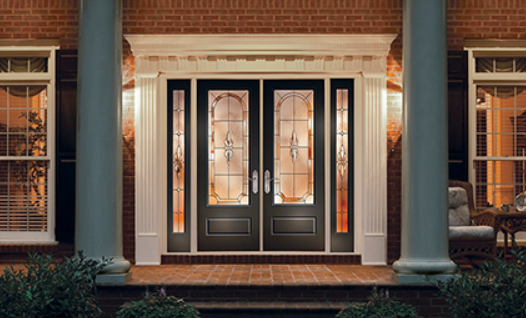 Home and Door’s professional craftsmen are experts at helping you pick out the perfect steel entry door or steel exterior door. Check out our extensive inventory of steel doors, and we guarantee you will find a steel door that will bring style to your residence. Contact our staff at Home, Door and Window Products at (248) 399-9900 for a Free in-home estimate!